Best Discount Brokers in India provide value to their clients in terms of Pricing, Trading Platforms, Service and more. Primarily, the whole concept of discount broking is based on low brokerage charges with no frills attached. It is somewhat similar to economy flights where the focus is primarily on low-cost travel. Similarly, in discount broking, the primary focus is on low-cost trading. In this detailed review, we will have a look at some of the best discount brokers in India and their corresponding pros and cons you must be aware of. For more than 5 decades till 2010, Indian stock broking space had been working through full-service stockbrokers that charged clients a specific percentage of the trade value as brokerage. For instance, if you traded for a value of ₹1,00,000 then you’d be required to pay as high as ₹500 for brokerage only for that particular trade. Yea, that is totally true! definite amount that needs to be given to the stockbroker. Thus, it ended up eating a major chunk of profits made by traders and investors in the stock market. This is where Discount broking concept was introduced in India. In 2010, Zerodha brought this concept and started charging a flat rate of ₹20 per executed trade at the intraday level and ZERO brokerage for delivery trades. This was first of its kind of a solution where the stockbroker did not ask you about your trade value. Thus, whether you traded for ₹10,000 or ₹10,00,000 for a specific trade, the brokerage will stay at maximum ₹20 for that particular trade. Initially, the concept was met with a lot of doubts and scepticism from the traders’ community, thinking how can a stockbroker charge almost nothing in brokerage charges. But the business model was set at the volume or scale level. Gradually, the stockbroking industry in India saw an inflow of numerous such businesses that charged a flat rate or brought subscription-based pricing for unlimited trades and so on. 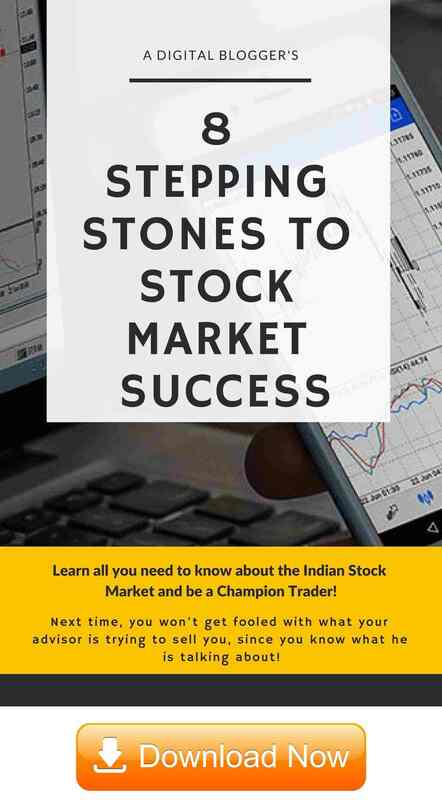 Today, there are more than 50 discount stock brokers in India with different pricing plans to go along with a focus on Technology and customer education. Some of these best discount brokers have worked so hard in the recent times that they are among the top 25 stockbrokers overall! Isn’t that staggering? Here, in this article, we list down 10 best discount stock brokers in India that offer reasonable value to its clients, not just in pricing but in multiple facets of stock trading. 5Paisa was launched by IIFL a few years back and today falls among the best discount brokers in India with some very unique selling propositions. Easily one of the best discount brokers as it comes with low brokerage charges at ₹10 per executed order. Child of India Infoline, one of the most prominent full-service stock broking houses in India. Thus, the trust factor comes inherently. Free Research and Reports provided, on offering generally not provided by discount brokers. Only Discount broker that is listed on the stock market. Free Sharemarket basics education through 5Paisa School. 5Paisa Auto Investor is another unique offering which provides automated recommendations for mutual fund investments. To get a Free Callback, provide your details in the form here. As mentioned above, Zerodha is the first discount broking company in India launched back in 2010. The broker comes up with a few technology-based innovations on a regular basis to go along with some of the complementary partnerships for traders’ benefits. Zerodha Sentinel is useful for setting up alerts and notifications based on specific conditions. Partnership with Thomson Reuters’ that provide research reports to Zerodha’s clients. 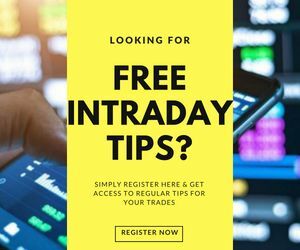 The brokerage model of Fyers is similar to that of Zerodha but it offers relatively low account related charges with a high focus on its terminal trading software. High focus on Fyers One which is one of the top trading applications among the best discount brokers in India. This 2012 launched discount broker offers high exposure to its clients and remains its primary differentiator among other discount brokers in India. This is also a major reason for Tradejini being listed among the best discount brokers as well. Low brokerage charges with maximum ₹20 brokerage across segments. 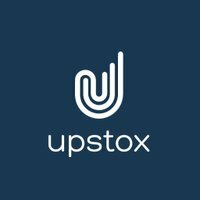 Upstox is more or less a carbon copy of what Zerodha does in the share market. Be it the brokerage model, the exposure levels or the web application offering, Upstox has always been a follower of the market leader. Having said that, it has done a reasonable job in maintaining its position among the best discount brokers and is currently one of the top 20 stockbrokers in India overall. Maximum ₹20 brokerage in other segments with no minimum brokerage levels. Decent performing trading platforms, especially Upstox Pro Web – the web-based browser trading application. 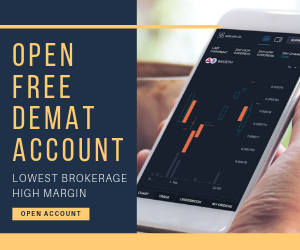 Free Demat account opening and maintenance. Sometimes offers brokerage cashback as well, however, such discounts are offered on a seasonal basis. Offers a referral model but has not been that successful yet to a reasonable level. It is the discount broking arm of Master Capital, a veteran name in the stockbroking space in India. Although My Value Trade offers low brokerage charges, its primary differentiator is the fixed brokerage plans it offers. Unlimited trading plans available for ₹1000 per month or ₹10,000 per year. It is one of the very few discount brokers in India that offer fixed rate yearly brokerage plans. Multiple types of order placement allowed using the trading platforms. High margin values for Equity Intraday traders. Not much exposure offered in other segments except equity Intraday. TradePlus Online is the discount broking brand from the house of Navia Markets. This is among the best discount brokers in India for the kind of customer service it provides, which generally is not expected from a discount broker. A Wide range of trading and investment products offered. Initiatives for customer service including Twitter Bots making the overall service quality level at above-average industry standard. Like 5Paisa, RK Global also offers free research and recommendations to its clients even though it is a discount broker. This aspect certainly helps it to cut the crowd and be listed as one of the best discount brokers in India. Although Astha Trade can be seen as a relatively smaller stockbroker, the major reason for it being one of the best discount brokers in India is its margin range. For instance, for Equity intraday trading, you can get margin as high as 40 times of your trading account balance. Trading Account annual maintenance charges are free. High account opening charges for the demat account and trading account. Trade Smart Online comes from the house of VNS Finance, a prominent financial house in India. Trade Smart Online or TSO has been doing multiple things at the same time but still has not come up with one big differentiating factor on its own yet. It has still been kept as one of the best discount brokers in India for the simple reason that it is still up for a fight! You can read the complete review in Hindi as well. Best Discount Stock Brokers – Why to Go Ahead? If you are looking to open an account with either of the stockbrokers mentioned above, please provide your details here in the form below. Nice and very informative list. However, I would like to know your view on Samco? Samco is good but its primary USP is its margin values. Customer Service and trading platforms can be improved. Nice article. I have read my negative reviews regarding Zerodha’ trading platform. What are your views on that?